Joel Boggess knows a thing or two about building confidence as a leader. 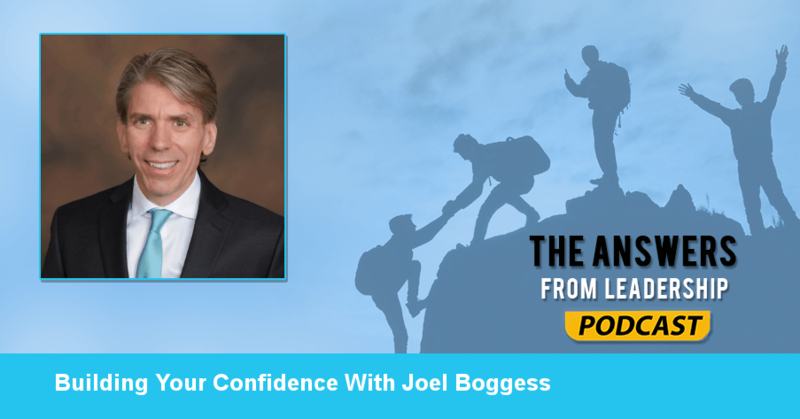 As the host of the ReLaunch Podcast and best-selling author of Finding Your Voice, Joel helps leaders around the world improve their confidence and live the life they were meant to. I’m excited to have Joel on the show to share how you can increase your confidence and lead well. Leadership is being clear on your best features and enduring qualities and leading with them. Let those features and qualities take the forefront. We use the different qualities we have in our leadership toolbox. As leaders, we hone and develop those tools over time. We do that by steeping ourselves in the best leadership resources we can find. What role does confidence have in leading? Confidence is a primary role. You can’t lead others if you can’t lead yourself. And if you’re not confident in who you are and who God has created you to grow into, your responsibility is to become a better, more powerful version of yourself. How can a leader become more confident? The answer is so obvious it’ll probably hit you square between the eyes. I know it’s done that to me. That is to understand what you bring to the table as far as your strengths, your skills, your abilities and then being able to harness those in the best way possible. You mentioned understanding your strengths and what they bring to the table. That can be hard. Do you have any tips to recognize your strengths? What a lot of people do because they’re married to who they are, they’re often blind to their own strengths. One of the first things I do when working with someone, I have a tool I use. I ask people to ask other people what they see in them. This exercise is a game-changer. Sometimes, as we’re building our confidence to lead, we get knocked back. Have you seen this happen? Of course. We’re all human. So, knowing that there are going to be leadership challenges, you’ve got to surround yourself with the right relationships. We talk about resources. We also have to make sure we have the right relaunch relationships in place. Do you have any tips on overcoming that and finding partners to join with you? Sure… Unfortunately, often times it takes a pretty significant fall before someone realizes they need serious help. Sometimes the entire house needs to be burning before they call the fire department. Should it be that way? How can we do it? Often it takes a pretty big fall and we get honest with ourselves that we need help. Do you think this is a confidence issue that we think we can do everything ourselves or is there another underlying issue? Probably a little of confidence and ego. Are there any other downsides to having too much confidence? I think you just have to keep it in check. Be confident but be willing to admit that you are human. We know that leaders are readers. What are one or two books that have changed your life? Without a doubt: Becoming A Category Of One by Joe Calloway. What do you wish you would have known about leadership when you were in your early 20’s? Pretty much what I said earlier. The key to leadership is understanding your best features and enduring qualities. I wish I had a better understanding of those early on. Do you have any parting words of wisdom for listening leaders? You don’t have to be starting a podcast but take action. Whatever it is that is the next step for you, make it happen. Most people will talk about the game but they’ll refuse to get in the game. Of course your excuses are good. They’ve been working for pretty much all of your life. That kind of hit me between the eyes. A huge shout-out to today’s Answers From Leadership podcast sponsor Audible.com. 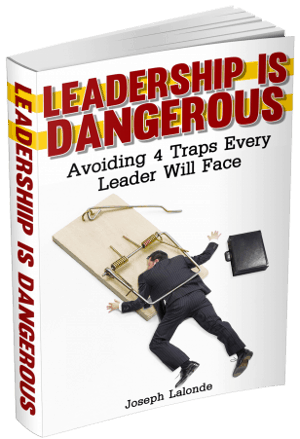 They’re offering a free 30-day trial and audiobook for listeners of Answers From Leadership. My recommendation for this week is Joel’s book Finding Your Voice: Sort Through the Clutter, Discover Clarity, Confidence, and Direction or you could try one of his recommendations! Either way, you can’t go wrong with a free audio book.